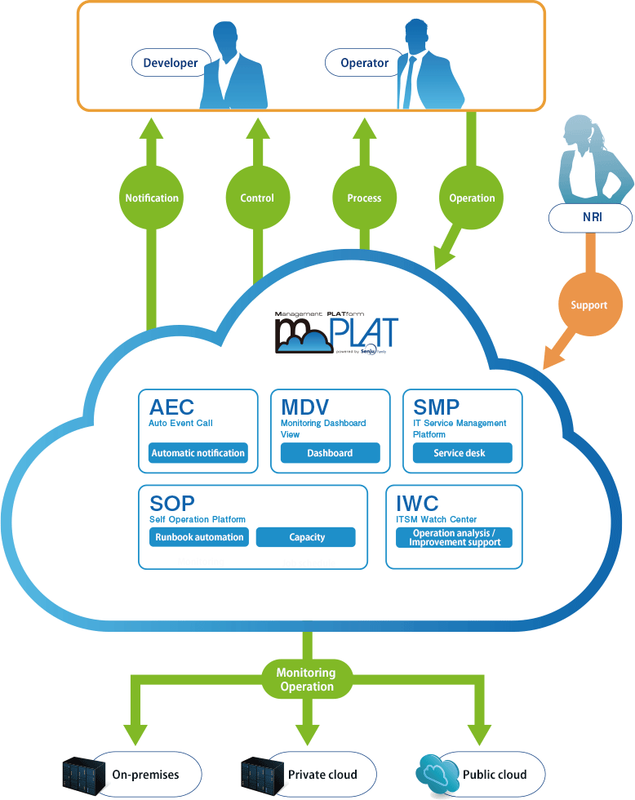 mPLAT is a service that offers cloud-type operation management functions necessary for system operation. 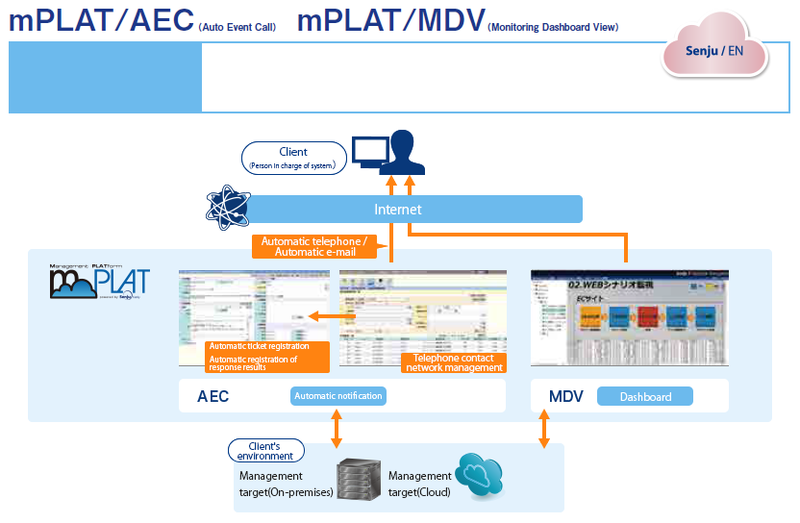 Clients can conduct system operation using mPLAT service without preparing their own on-premises environment, cloud environment, or operation management platform. With a number of management functions for public clouds such as AWS and Azure, this maximizes the advantages of clouds with quick operation. 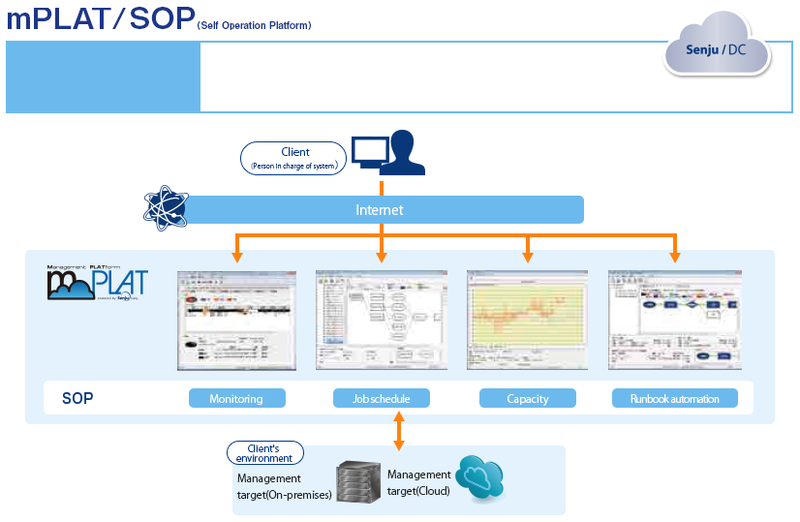 In addition to basic functions including monitoring and job management, this offers functions for higher operation quality such as incident control, configuration management, operation statistics, and dashboard. Automatic operation functions such as automatic calling and runbook operation as well as support services including initial establishment, maintenance management of tools, staff training are also offered. This reduces the burdens of system operation and creates contribution to your primary work. Connecting operation management systems or work processes that take time to establish to a cloud service built on AWS allows starting use for a short period of time and at a low cost. NRI's system operation know-how is provided as a template to achieve a proven stable operational environment. In order to offer integrated operation management functions exclusive to each client, the client can freely set an optimal environment to its system. Changing the monitoring threshold or job, or contacts in case of failure events can be easily set by the client, flexibly responding to changes in the work or organization. Clients can focus on their primary work, their own system operation, as basic settings for the operation management system and work required in maintenance including upgrading versions will become unnecessary. 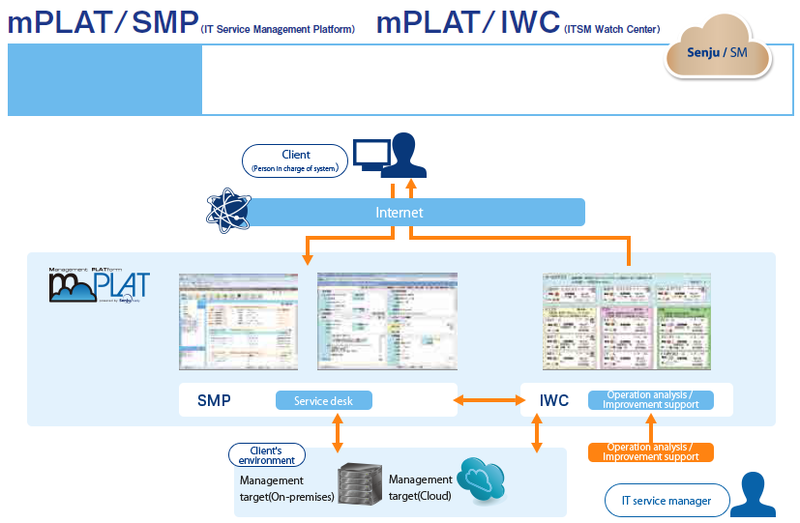 *"Senju/SM SaaS" has changed to "mPLAT/SMP" from version 2016.